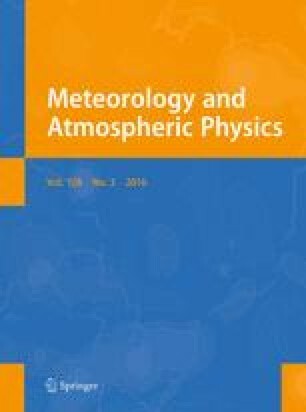 The response of a regional atmospheric model to small changes in roughness length of two vegetation categories (crops and deciduous broadleaf forest) was analyzed for three synoptic events in June 2006. These were characterized by two convective events (June 11 and 22) and one prefrontal event (June 17). The responses of the model, for precipitation, equivalent potential temperature and wind field were notable in general. However, the response became muted as roughness lengths were increased or decreased. Atmospheric response to these changes varied for different convective events. A small dependence on roughness length was found for the sensible and latent heat fluxes and planetary boundary layer heights during the convective event of June 11. For the June 22 event, the model response was weaker for the crop-only and forest-only roughness length experiments compared to the response when both the crop and forest-only roughness length were changed in combination. The authors would like to thank two anonymous reviewers and the editor for their valuable comments which helped to improve this paper. Thanks also go to Michael Grogan and Andrew Quilligan for technical assistance. This work is funded by the USDA Grant #58-6445-6-068 and benefited from a NSF Grant #UKRF 3048032200-07-248 and a NSF-EPSCoR grant. The sensitivity of the exchange coefficient (C h ) to changes in roughness length can be approximated using Eq. (26) of Chen and Dudhia (2001) for the neutral case.